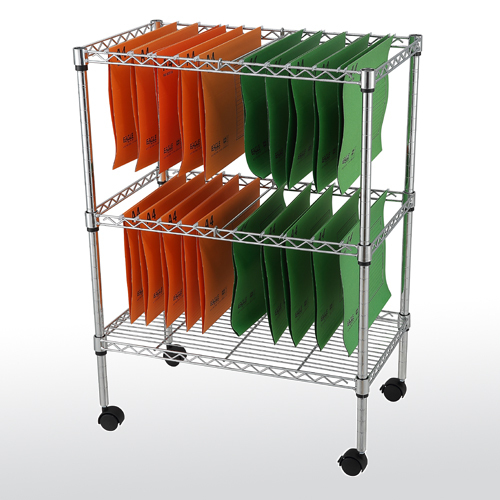 Accommodates letter- or legal-size hanging files which can be arranged for front-to-back and/or side-to-side filing. 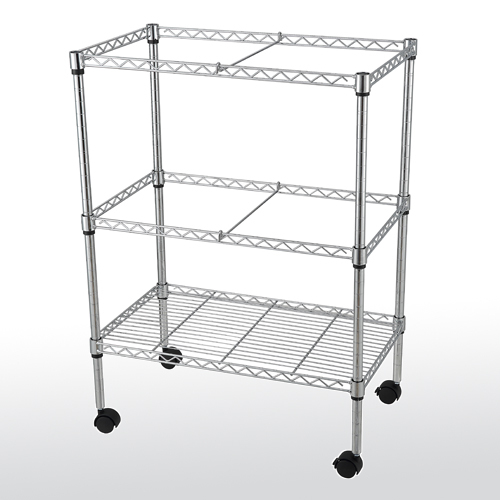 Includes a bottom wire shelf for additional storage space. Shelf is adjustable in 1" increments. Made of wire steel construction with scratch-resistant chrome finish. Hanging files not included.